Every year, thousands of Ghanaians attempt the dangerous journey across the Sahara Desert headed for Libya, the gateway to Europe and a hoped-for better life. Hundreds don't make it. "Starvation, dehydration, physical abuse, (and) sickness," are the most common causes of recorded deaths, according to Joel Millman, an IOM spokesperson. 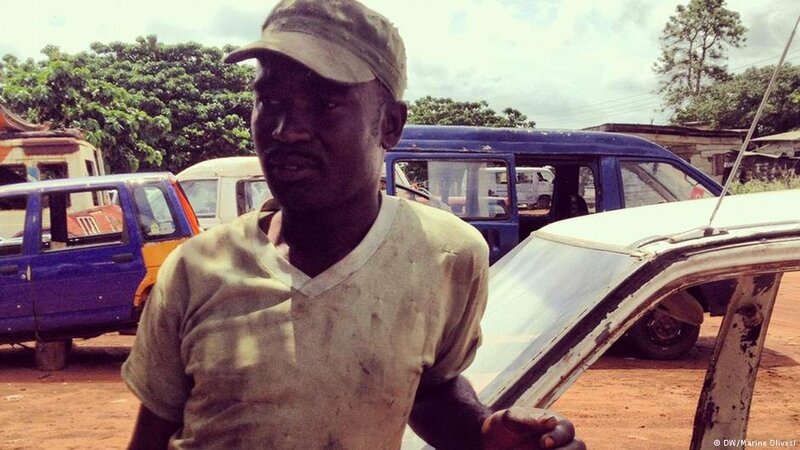 But Fuseini did make it – he traveled more than 2,800 kilometers from home to reach Libya. Then in 2017, the Ghanaian made a decision to go all the way back, only this time by plane. It is a choice he does not regret: "I'm happy that I came back to my family. I didn't lose my life during my journey or in Libya. I am finally back home," he says. He hopes to open a clothing shop. Fuseini is one of 1,001 Ghanaians who were stranded in Libya, Niger and other countries in the region to be helped by an IOM program called "Assisted Voluntary Return and Reintegration"(AVRR), begun in 2017. The UN agency runs the program in cooperation with the EU and the government in Ghana. The largest group of Ghanaians have returned to the Brong Ahafo region, followed by Ashanti, Accra, and Western Region. "I would say 99.9 percent are very happy to be home," Anita J. Wadud, from the IOM office in Accra told InfoMigrants. Once in Ghana, the returned migrants receive support from the IOM, including pocket money to cover their immediate needs. They're also offered help to reintegrate, such as counseling, education and vocational training, and psychosocial and medical support. 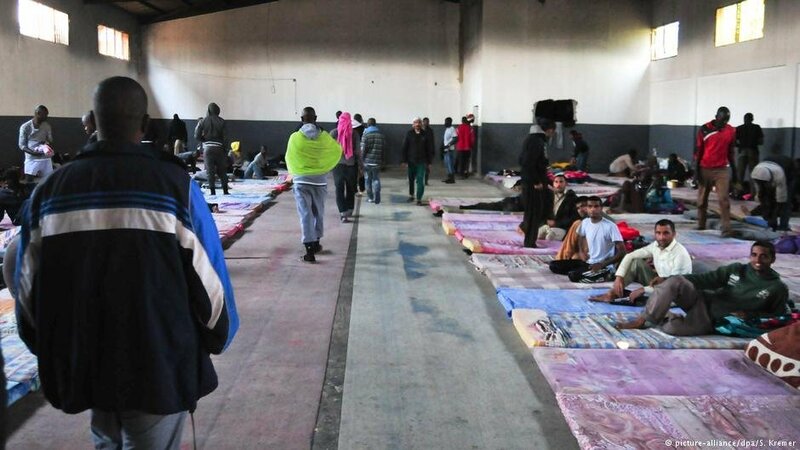 The IOM says 556 migrants are registered for reintegration support so far. 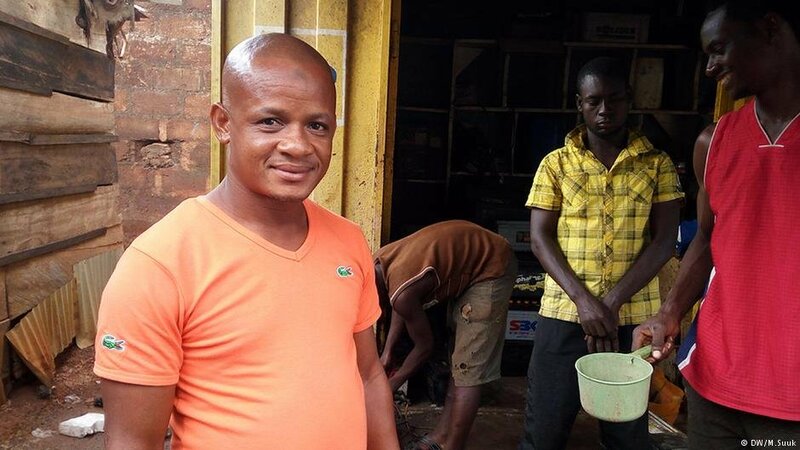 One of the biggest challenges the returnees face is finding a way to make money, Wadud says. They often need support to learn new skills as well as training in things like how to write a CV and do an interview. Some succeed in setting up small businesses of their own. Other returnees, especially "vulnerable cases," need help with basic shelter, Wadud says. The project is part of an EU-IOM "Joint Initiative for Migrant Protection and Reintegration," which includes collaboration with 26 African countries. The IOM says the initiative has helped more than 58,000 people stranded along the migratory routes in Africa to return safely. "Supporting the safe and dignified return home of more than 1,000 Ghanaians, many of whom were in detention, is a significant achievement," says Sylvia Lopez-Ekra, the IOM's Chief of Mission in Ghana. But she adds that: "much remains to be done to support the successful integration of these migrants in Ghana." those who are stranded and lack money to continue. Sometimes, migrants choose to return home to be reunited with family, because the situation in the host country or transit country has changed, or because they can't get work. The UN migration agency, the IOM, has been helping people to return to their countries of origin under AVRR since 1979. Most of them return from countries in Europe, but the programs have expanded beyond Europe to include host countries in the rest of the world. Going back home can be a difficult decision, the IOM admits. It puts a lot of pressure on the returnee who will probably have to find a job, adjust to a new lifestyle and try to reconnect with people previously left behind. But as the organization points out, there is pressure at a political level too to make sure that more people do return home. The return and reintegration of migrants unwilling or unable to remain in host or transit countries have gained renewed political importance in the agenda of national and international policymakers around the world. 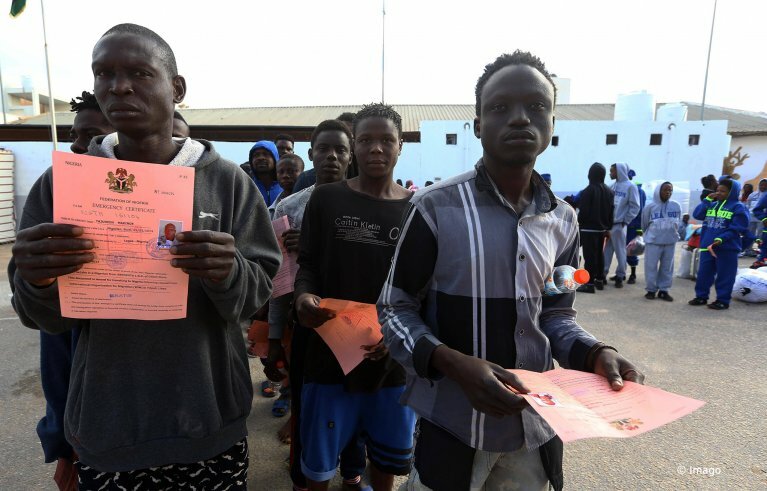 The IOM estimates that there are 60,000 Ghanaians in Libya. It's not known how many of these are irregular migrants who are stranded, unable to leave. •••• ➤ IOM video about AVRR: "A return with dignity, an opportunity back home"